Lately, the word inflammation has become quite the buzzword. It turns out that inflammation does not only effect you internally, but your beauty is effected as well. It is the root of so many issues both internally and on the skin. Inflammation is not all bad! It is actually the body’s defense system, providing protection from bacteria, viruses and injuries. When your body is under attack, it will respond by an inflammation process that sends chemicals from the body’s white blood cells to the area at risk. When the infection is gone or the injury has healed, the inflammation is supposed to go away. When our system is not functioning properly, then low levels of inflammation can linger in the body. Inflammation can come from anywhere! An unhealthy diet, stress, poor sleep, pollution, second hand smoke and sun exposure can all lead to skin inflammation. I know when I do not watch my diet then I experience obvious signs of inflammation, like breakouts, brain fog and over all swelling. Examples of external skin inflammation are acne breakouts, rosacea and visible signs of aging (like wrinkles and sagging skin). The higher our cortisol (our body’s main stress hormone) levels are, the more wound healing slows down and the more breakdown of collagen there is. Collagen helps keep the skin looking plump and smooth. Acne is a sure sign of inflammation! Those angry, red bumps love to pop up because of stress, Why is that you always wake up with a blemish on your wedding day, your presentation day or a travel day? Rosacea is another sign of inflammation in the skin, caused from stress, sun exposure, food, hormones and more. First step to lowering the inflammation in your body is to eliminate any stress. I practice breathing techniques, workout and try to plan my day as much as I can. Second, is to get quality sleep every night. Easier said than done, but it is a must! Third, you can eat an anti-inflammatory diet. I have done this one many, many, many times and it is a great reset and reminder of how I should be eating daily. An anti-inflammatory diet includes organic grass fed protein, vegetables and some fruit (I avoid fruit other than lemons and berries because of the high sugar content), healthy oils, plenty of water, quinoa and brown rice. It is best to avoid sugar, dairy, gluten, processed foods, refined starches, caffeine and conventional meat. A couple supplements to add to your regime to help reduce inflammation are curcumin and astaxanthin. Curcumin is the active ingredient in turmeric and astaxanthin is one of the most effective antioxidant supplements on the market right now. The key is to treat inflammation from the inside. Good luck on your anti inflammatory journey! Fall is here and it is time to switch up your skincare routine! Did you know that pumpkins have more benefits than just tasting amazing? Pumpkin is packed with fruit enzymes and alpha hydroxy acids (AHAs), which increase cell turnover, to brighten and smooth the skin. Age and environmental pollutants slow down the turnover of our cells, so our skin over time begins to look more dull. Using enzymes and AHA’s to exfoliate the skin will help to keep your skin looking more smooth and clear. Pumpkin contains antioxidant Vitamin A and Vitamin C to help soften and soothe the skin and boost collagen production to prevent the signs of aging. Vitamin C is one of the strongest antioxidants we can use for our skin. I notice such a difference in my own skin when I am using my Glo Skin Beauty Daily Power C serum each morning. My breakouts come to a halt, the surface flakiness is gone and my skin looks less red and more clear. It is honestly a must have product! Pumpkins offer us more benefits than being a great skincare ingredient too! One perk from eating pumpkin is better rest. Pumpkin seeds are rich in tryptophan, an amino acid that is responsible for post-Thanksgiving dinner sleepiness. Tryptophan also contributes to helping the body produce serotonin, the feel-good neurotransmitter that assists you in relaxing and winding down. In addition to promoting better sleep, the serotonin will enhance your mood. Pumpkin is also an overlooked source of fiber. One cup of pumpkin contains 3 grams of fiber and only 49 calories, which can keep you feeling full for long periods of time on fewer calories. A diet that is rich in fiber enables people to eat less, and thus shed pounds. In a food processor, combine the dates, cashews, pumpkin puree, oats and pumpkin pie spice and process until a sticky mass forms. Spread the hemp seeds on a large plate or in a baking dish. Using tablespoon, scoop the mixture and, with clean slightly wet hands and shape the mixture into a ball between the palms of your hands. Roll the ball in the hemp seeds to lightly coat, and set on a separate plate. Repeat with the remaining mixture until you have 10 balls that are slightly smaller than a golf ball. Place the balls in the freezer to set for 30 minutes. Store in an air tight container until required, then bring to room before serving. 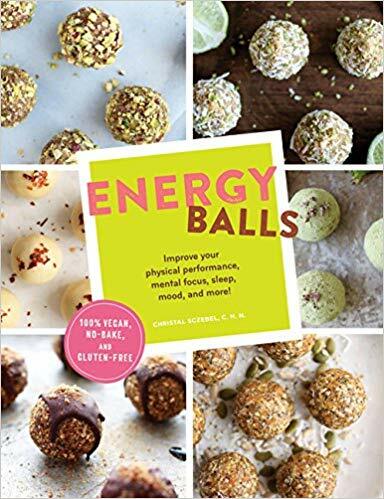 This recipe is from the amazing Energy Balls book by Christal Sczebel, C.H.N. Why do I need to exfoliate you ask? When dead skin cells begin to pile up on the surface of the skin, it can leave skin looking dull, rough and dry. When this happens you may experience excess oil and clogged pores, which can lead to breakouts. In a perfect world we would all remember to exfoliate our skin twice weekly, but we get busy, run out of product and fall out of our skin care routine. Well, Spring is here and it is time to slough off all of that dead Winter skin and shine! Here is the down-low on facial exfoliants and how to use them properly. There are two types of exfoliants: physical and chemical. Both have the same function- slough off dead skin and clean out pores for smoother looking skin- but in very different ways. Using an exfoliant properly can benefit your skin in many ways by helping your moisturizers, serums and treatments absorb much efficiently. In return, your skin will look fresh and healthy! Want to opt for a brush exfoliant? My favorite cleansing brush is the Clarisonic Brush, which is a must have for every woman especially those who wear makeup, have congested pores or want to smooth the texture of their skin. Use your favorite facial cleanser with this brush in the evening to deep cleanse the skin as well as exfoliate away any dead skin cells. Want to leave your physical exfoliation to the pros? Try microdermabrasion or dermaplaning. 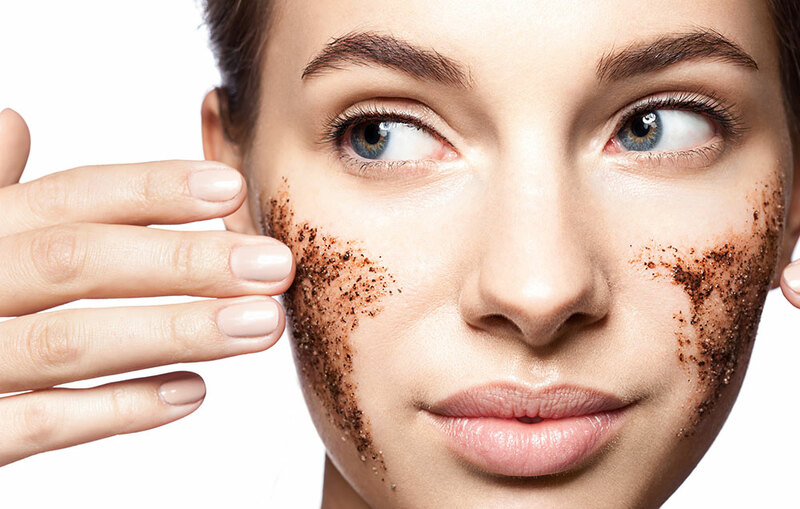 They both offer more exfoliation that you can achieve at home, but both offer different benefits. Microdermabrasion uses suction along with a diamond tip wand to gently remove the thicker, uneven outlayer of the skin. This treatment is great for scarring, discoloration, sun damage and stretch marks. Dermaplaning is performed using a scalpel to gently scrape off the top layer of dulling dead skin cells to reveal a smoother, brighter complexion. Another perk to dermaplaning is the removal of all "peach fuzz" on the face, leaving your skin baby soft! CHEMICAL EXFOLIANTS - Same as physical exfoliants, chemical exfoliants, break up dead skin cells to reveal bright, clean skin. These chemicals are also great for smoothing and brightening the skin! Peels, masks, serums, etc. are a couple examples of chemical exfoliants. There are a couple different types of chemicals to look out for: AHA's and BHA's. Alpha Hydroxy Acids are derived from fruit, sugar and milk. AHA's are great for dry skin because it can break up the "glue" that holds dead skin cells together. BHA's penetrate deeper into the skin to clean pores and exfoliate more intensely. BHA's also have anti-inflammatory and antibacterial properties, which is great for acne/ breakout prone skin. Need an extra gentle exfoliant? Try fruit enzymes for mild exfoliating results. It is possible to use both exfoliants at once to experience the best results! Try using a physical exfoliant that contains an AHA or a BHA or during your next skincare appointment try dermaplaning to achieve the best results out of your chemical peel. Thank you for reading and happy sloughing! Haut Haus opens in Golden, CO! Did you suffer from acne as teen? What about excessive oily skin, while still experiencing flakiness? I know those skin issues all too well! For years I had struggled with problematic skin without finding a long term solution to finally have the nice, normal skin I had always wanted. Until one day my mom and I had stumbled upon a small skincare boutique in Downtown Littleton Colorado. I was in my early twenties at this point, so I had no children and had the time wander freely. Ahh, those were the days! This small skin boutique changed my skin, my view on skincare and... my life! I had worked in the beauty industry for only 4-5 years, so I had used many department store skincare brands that were overpriced and left me irritated, broke and in worse condition than when I began using the products. I am pretty sure I tried everything sold in Macy's and Nordstrom in just a few years. I had no idea that there were better products out there. I honestly thought I was buying the best because of the insane price point. My eyes were opened to the wonderful world of Cosmeceuticals! These are not products that just anyone can sell in any location. A licensed individual is trained and knowledgeable about all things skin and skincare and has a relationship with the company they are using products from. These individuals has attended school, countless classes and usually has years of experience under their belt. Well, this very same day that I was introduced to amazing products, I also experienced my very first CHEMICAL PEEL. Again. life changing! After that point I had never looked back and continued to use high quality professional skincare that is results driven. Give me all the Glycolic Acid, Lactic Acid and Retinol! Knowing how difficult it can be to have skin that you are not confident about, I decided to focus more on skincare in my career in addition to being a Makeup Artist. Makeup has always been a passion of mine that I thoroughly enjoy, but what good is beautiful makeup if you do not have a smooth, even and clean canvas to apply that makeup? Skincare and Makeup truly go hand in hand. I am honored to expand my services in 2018 to offer my clients Facials, Chemical Peels, Dermaplaning, Eyelash Extensions, Eyelash/Brow Tinting and Facial Waxing. I am finally living out my dream of helping my clients on a deeper level. This was years in the making, but I am proud to introduce my skincare studio... Haut Haus. Located in Golden, CO I am now accepting appointments Monday through Saturday. Each appointment is tailored to your individual need, so the amount of time varies.I offer Denver based skincare company, Glo Skin Beauty . Glo Skin Beauty is a high quality brand that offers great results with minimal effort. I love this line! Please visit my SERVICES page to read more about the description of my services and my SHOP to view more about the products sold at Haut Haus. I look forward to meeting and exceeding your skincare needs!